Many people assume that poverty is a minor problem in the United States, but in reality there are hundreds of poverty-stricken men, women and children across the country. This holiday season you will have an opportunity to help. The World Vision Gift Catalog allows shoppers to purchase small unique gifts that can make a huge impact on the lives of families throughout the US. When thinking of presents to give this holiday season, consider buying something that will give back all year long. With more than 250 items to choose from you can surely find something for everyone on your list. Know a friend or family member who loves to bake? How about gifting them a box of Prosperity Cinnamon. 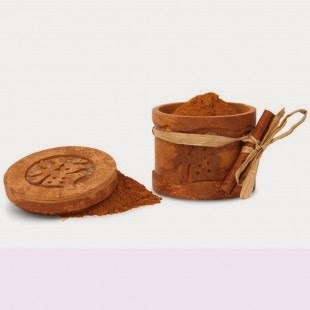 Each beautifully-carved cinnamon bark box contains 3 oz. of cinnamon and bears a common Asian character for prosperity. Vietnam's renowned sweet cinnamon is a renewable resource collected from the Cassia tree, sold to benefit generations of hard-working families. Whether you choose to shop from World Vision or not, I would like to offer this hand carved box of cinnamon as a give away to you. It is considered to be some of the best Vietnamese cinnamon in the world. 1. Like World Vision on Facebook and leave a comment here letting me know you did. 2. Follow World Vision on Twitter and leave a comment here letting me know you did. 3. Follow me on Twitter and leave a comment here letting me know you did. 4. Follow me on Pinterest and leave a comment here letting me know you did. I follow World Vision on Facebook. I like World Vision on Facebook where I am Margot Core. I follow you on twitter (@ljskop). I'm following World Vision USA on twitter (@ljskop).